New Year. New Goals. Same Awesome Challenge. It’s that time. You've welcomed in the New Year. 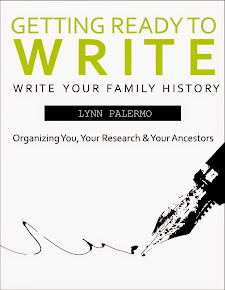 You've set your goals and one of those goals is to start writing your family history stories. Now it’s time to put a plan into action, to acquire the tools necessary to make your objectives a reality. It's time for The Family History Challenge. Can you believe it, were celebrating our fifth year at The Family History Writing Challenge. For the past four years we’ve gathered together each February for 28 days to committ to writing our family history stories. This year promises to bring you all the things you love about the challenge and more. First, some things are still tried and true. 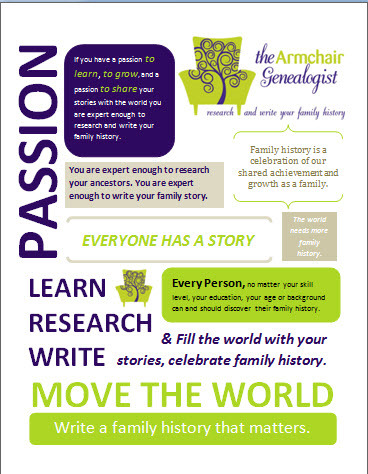 Our website, The Family History Writing Challenge is now open for you to register. If you registered with us last year, you do not have to register again, you move to the front of the line. Once you register you get access to our members area, with great articles to help you write your stories. 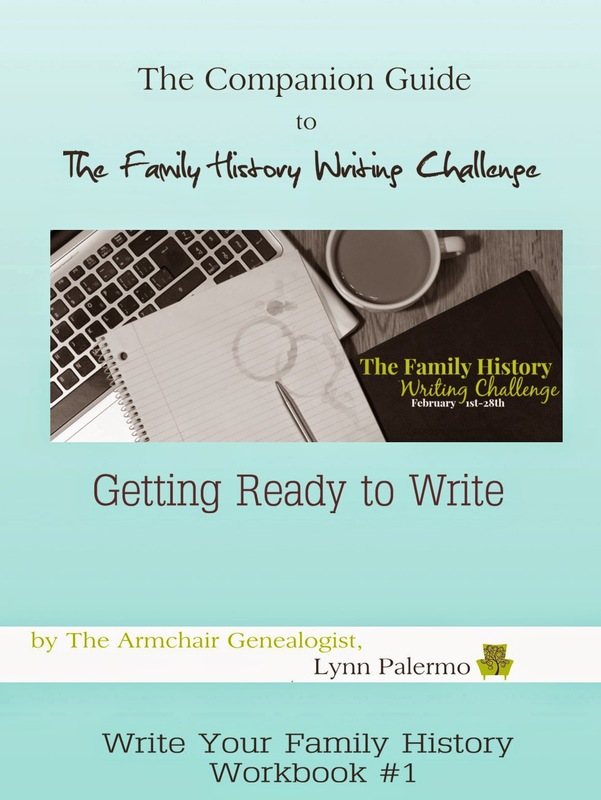 You’ll find an archive of articles to help you get ready to write including the Companion Guide to The Family History Writing Challenge. 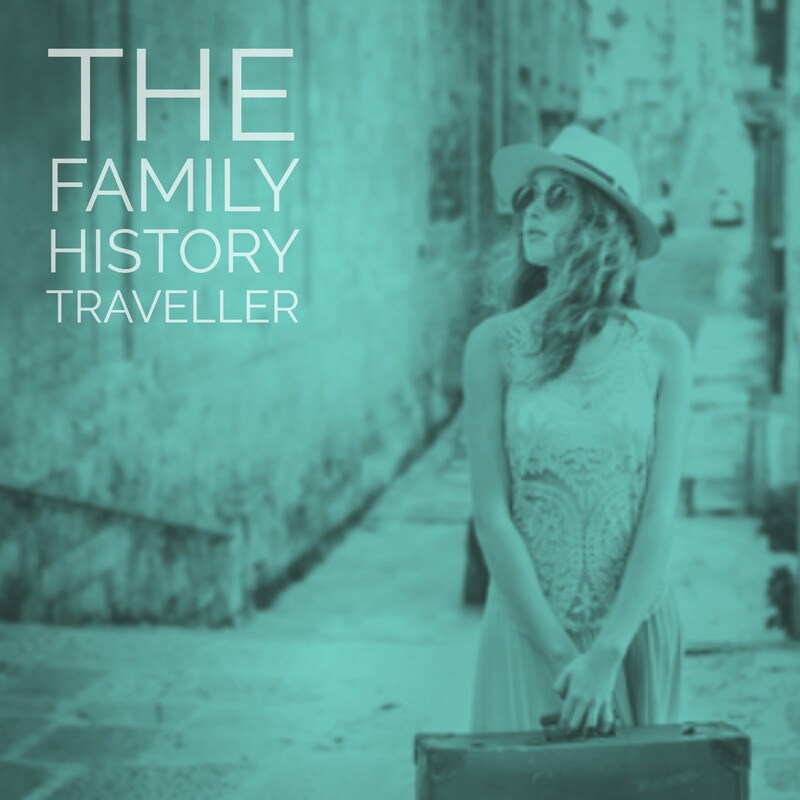 I’ve written my family history, I know it can be overwhelming in getting started. We've got plenty of resources to get you organized and started. The Writer’s Forum is reset for this year’s participants, come stop by and introduce yourself. There is no better learning environment than joining a writing community. In the Writer’s Forum you’ll find motivation and inspiration from fellow writers who understand your struggles. The Daily Dose returns with fresh new articles to provide inspiration, education and motivation throughout the 28 days of February. Feel free to let me know your struggles. We'll do our best to help elevate you in your journey. Email me at lynn@thearmchairgenealogist.com with your most pressing writing problems or stop by the forum and leave us a note. Finally, our ever awesome list of guest authors returns. It’s always wonderful to have such a vast array of writers in the house. I enlist the help of writers who are at varying stages of their writing journey, from those with years of experience, some in the throes of their first book and a one or two newly published writers. They all bring something wonderful to the table. It is just as much a treat for me as it is for you to have them with us. Stay tuned, for the announcement of guest authors line up in the next couple of weeks. We may have one or two new faces in the crowd. We’ve added a new workbook to our line-up. 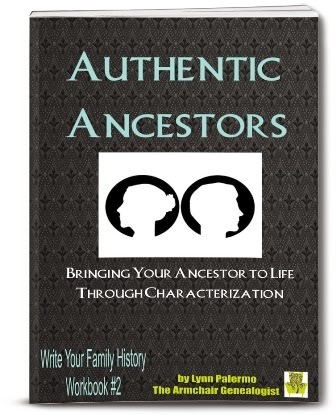 Authentic Ancestors is a 100-page ebook designed to help you discover your ancestor’s character so that you can bring them to life in your stories. 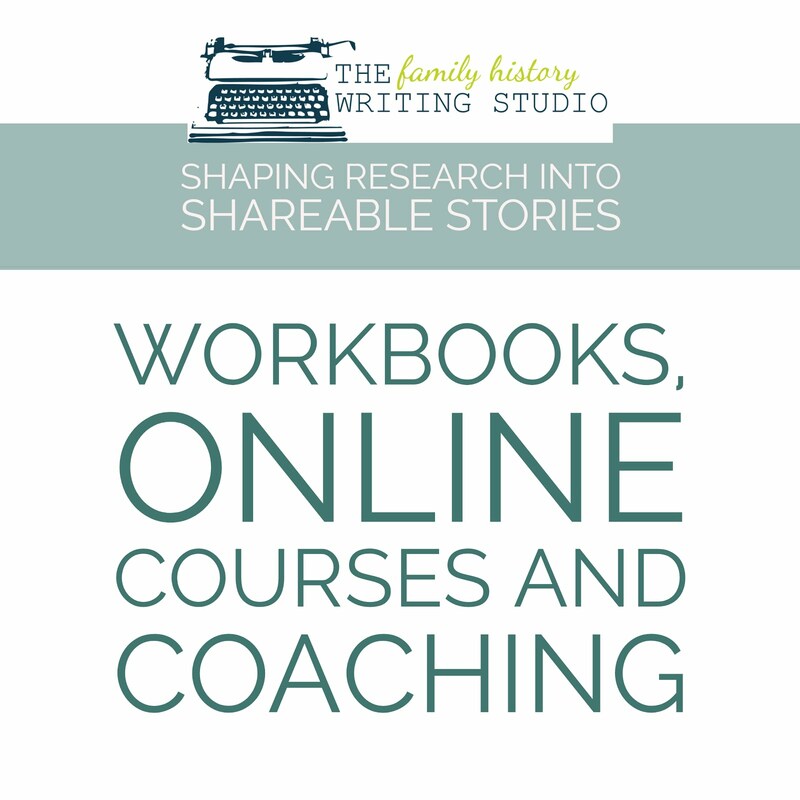 In this workbook, you’ll learn all about the creative nonfiction tool of characterization and how you can apply it to your family history stories. 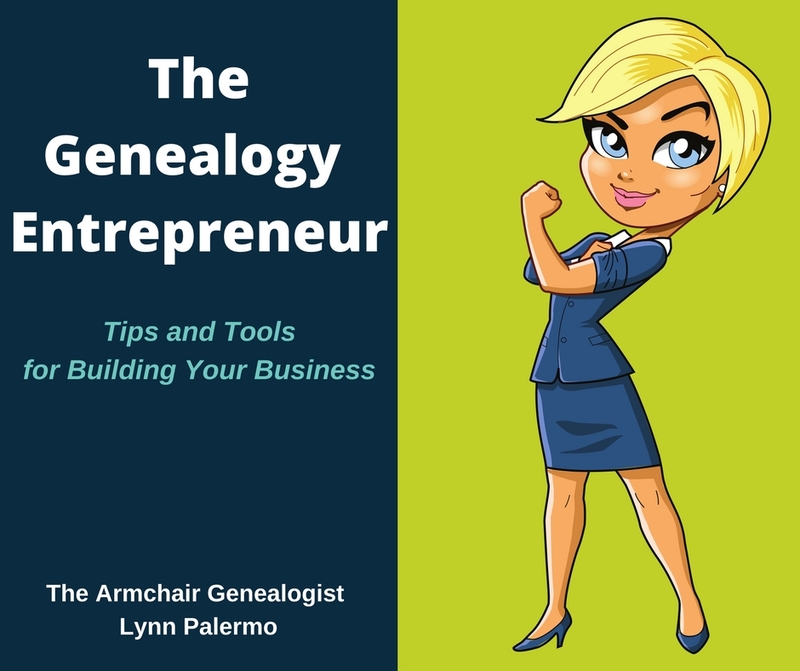 It’s pack full of information, tips, tools and worksheets you can use over and again each time you write about an ancestor. It's ready for download now. The Family History Writing Challenge is an excellent opportunity for writers to come together in a supportive environment. 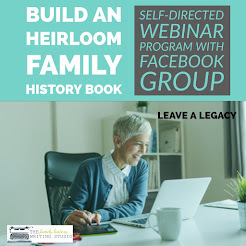 If you are an experienced family history author looking for a little motivation, our writer’s forum may be the place you need. Find your motivation and offer your experience in our writing community. If you’re struggling to finish those stories you started last year, come join us, let’s get you refocused and back on track. If you’re a first-timer dipping your toe into the writing waters, then this is the place to start. In The Challenge, there is a place for everyone. We all share the same goal, a passion to write stories that give our ancestors a voice, stories that engage our readers and carry an emotional connection to their history. Join The Family History Writing Challenge, let us help you achiveve your writing goals. Feel free to pay us a visit at The Family History Writing Challenge to get all the details and register. The doors are open; we’re there waiting for you. Over the next couple of weeks, I’ll offer a couple of pre-challenge posts to help you focus and stay on track during these 28 days. I’ve also got a big announcement at the end of The Challenge. Yup, it’s that big; you have to wait until the last week of the challenge. You can also follow The Family History Writing Challenge on Twitter #fhwc2015. Feel free to post our badge, let your readers know you joined The Challenge, and you’re proud to be writing your family history stories. 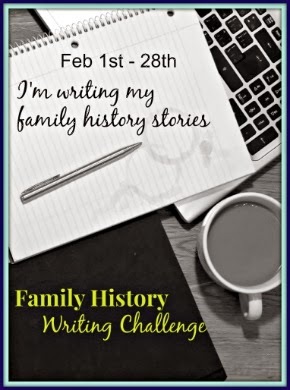 Whether you're a participant in this year's challenge or you're on the sidelines cheering us on please feel free to support our endeavours by displaying The Family History Writing Challenge Badge in the sidebar of your blog. It's time to get loud and proud about writing our ancestor's stories. Copy and paste the html code into an html widget on your blog. It's that simple. The badge links to The Family History Writing Challenge Website.